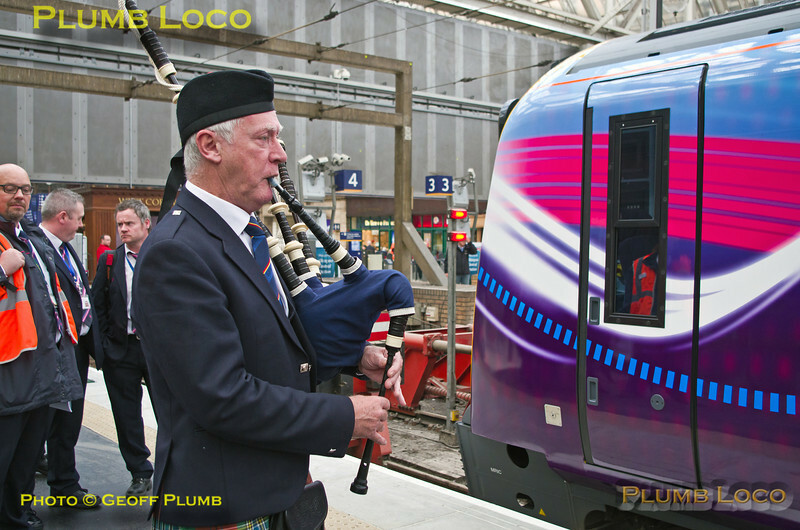 The TPE Clyde Race Tracker Tour received a traditional Scottish welcome from a Piper as it arrived into Platform 5 at Glasgow Central station for a short layover prior to returning to Manchester Piccadilly as 1Z52, departing at 17:30 on Saturday 26th April 2014. Digital Image No. IGMP3760.